Brian Wood To Write Dark Horse’s EVE: Valkyrie! 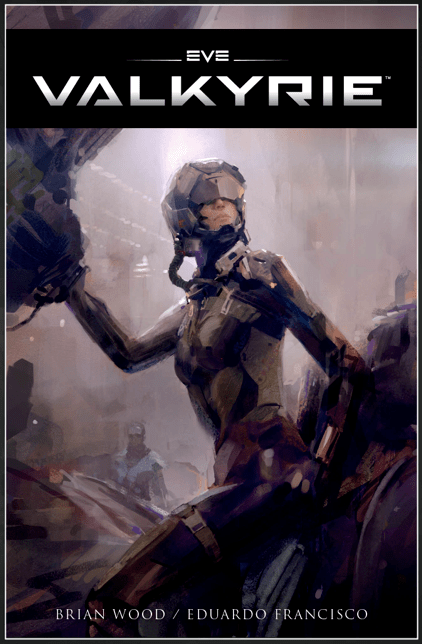 Brian Wood has been assigned the writing gig for the Dark Horse miniseries EVE: Valkryie, which is based on the video game in development by CCP Games. Art will be by Eduardo Francisco. The first issue is scheduled to appear on June 3rd, 2015. VIZ Media Bringing Tokyo Ghoul and So Cute It Hurts to North America! 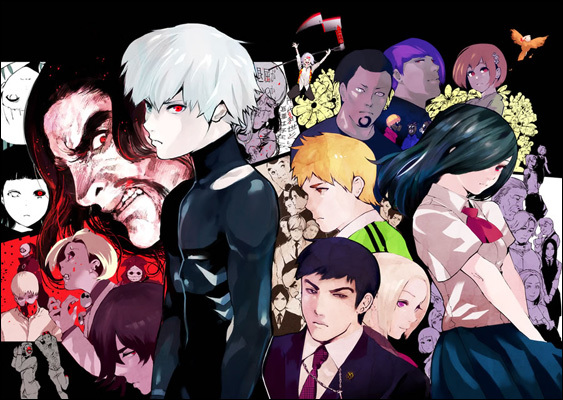 VIZ Media, home to such titles as All You Need Is Kill and Naruto, has announced acquisition of the North America licensing for horror series Tokyo Ghoul and cross dressing high school comedy So Cute It Hurts. Both titles will be available in June 2015. For more, follow the jump. Well kids it has been a wild and crazy ride! The first two days of New York Comic Con have been a whorl wind of excitement and running around like a chicken with it’s head cut off! lol But seriously folks I’ve had a chance to chat with the stars of some of your favorite shows and you wont be disappointed! 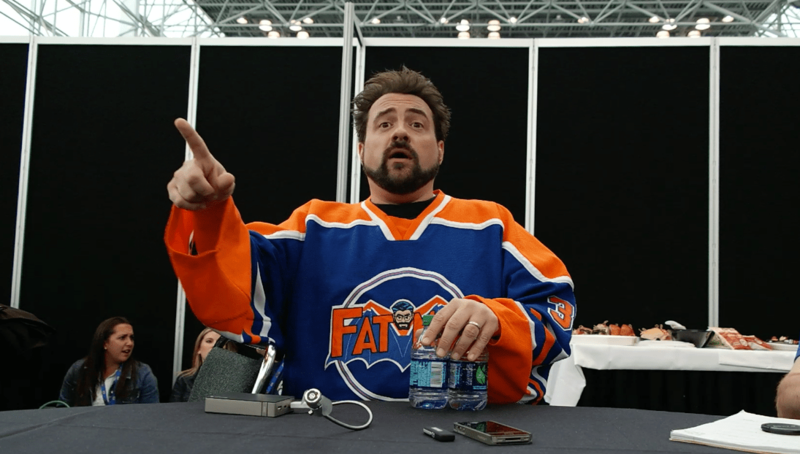 It’s always fun to get a chance to chat with Kevin Smith about any topic. I had the opportunity to sit down with him and the rest of the wacky crew from AMC’s Comic Book Men to discuss their new season premiering this weekend. We also discussed how having Kevin’s daughter in both an episode of Comic Book Men and his new movie Tusk has effected him. Check back for the full video of the interviews and be sure to tune in to Comic Book Men on AMC October 12, at Midnight! Fan’s of SyFy’s latest hit show Bitten will not be disappointed. The wolf pack is back in full force and all hell is about to break loose! The cast revealed that Season 2 starts just a few days after we left off of Season 1 and things in Stonehaven are about to get even darker, bloodier and of course a lot more skin. We will be introduced to a few new characters including a few more women with the addition of some witches. The cast was pretty tight lipped about what’s in store this season but assures me we are in for a wild ride! Video of the cast interviews are on their way. Sadly you’ll have to wait for Season 2 of SyFy’s Bitten until 2015. NYCC 14: Cast of Once Upon A Time Spills Some Magic Beans! I’m here at New York Comic Con and had the chance to sit in on the Once Upon a Time panel with the lovely and talented Jennifer Morrison and creators Adam Horowitz and Edward Kitsis. We were treated with and advanced screening of Sunday’s episode where a few questions will be answered about the giant ice wall still surrounding Storybrooke and new questions arise. Like who the Snow Queen really is and who she is related to! 2014 New York Comic Con: Dragon Ball Z: Battle of Gods Extended Edition Now Available! Dragon Ball Z: Battle of the Gods Extended Edition is now available on Blu-Ray/DAV Combo Pack – with twenty minutes of never before seen footage. To celebrate the home video release, two voice actors from the cast, Sean Schemmel and Chris Sabat, will appear at New York Comic Con 2014 on October 10th and 11th. 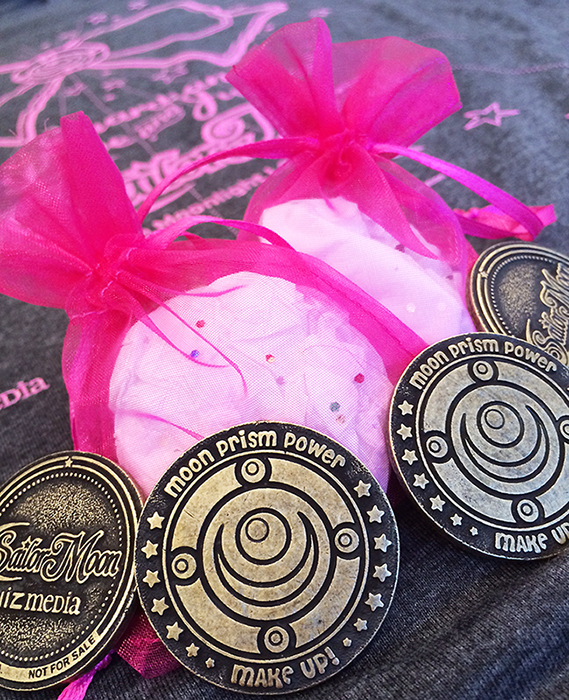 2014 New York Comic Con Exclusives & Panels: VIZ Media! Earlier this week, VIZ Media announced that manga artist Takeshi Obata would be attending the 2014 New York Comic Con. Now the continent’s largest publisher of manga and anime has released its schedule of panels and a list of NYCC 2014 exclusives. Among the exclusives are an NYCC14 Sailor Moon T-shirt coins,the Voltron: From Days Long Ago 30th Anniversary Celebration book and the Hello Kitty Hello 40 Commemorative Art book. For the complete list of VIZ Media exclusives, appearances and panels, follow the jump. BOOM! Studios Unveils Exclusives and Panels for 2014 New York Comic Con! BOOM! 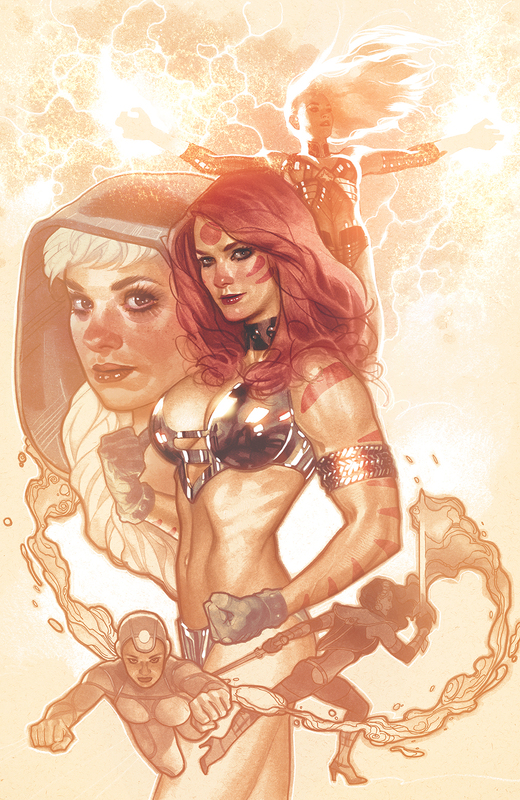 Studios has unveiled a selection of exclusive cover variants for nine if its comics as exclusive to the 2014 New York Comic Con. Titles range from George Barr’s Sirens #1 to the concluding chapter of miniseries Translucid (#6). Also making its debut at the con will be the limited, premium edition of the Sons of Anarchy hardcover, collecting the first issues of the comic. For a complete list of titles – and the details on the company’s four panels, follow the jump. BOOM! Goes New York Comic Con! BOOM! 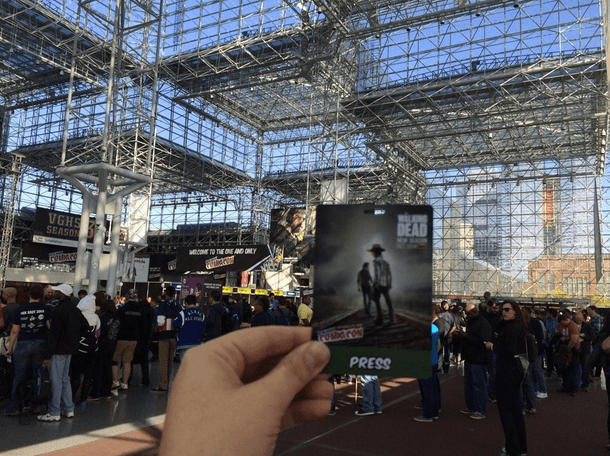 Studios will have a significant presence at the 2014 New York Comic Con with more than three dozen of their talented writers and artists in attendance – including Day Men’s Matt Gagnon, Sleepy Hollow’s Marguerite Bennett and Fiction Squad’s Paul Jenkins. For a complete list of BOOM! Studios creators in attendance, follow the jump. 2014 New York Comic Con runs for the weekend of October 9-12 at the Javits Center.